We provide dedicated professional support which creates positive pupil behaviour and a great learning environment. A Learner Disciplinary Process in place to tackle poor behaviour. New to teaching? –We don’t just support our students to learn; we invest in our staff in order for them to reach their full potential. If you are new to teaching, we will support you in obtaining your Teaching Qualification (Level 4 teaching qualification contractually required for all Lecturers and a Level 3 teaching qualification is required for Instructors). 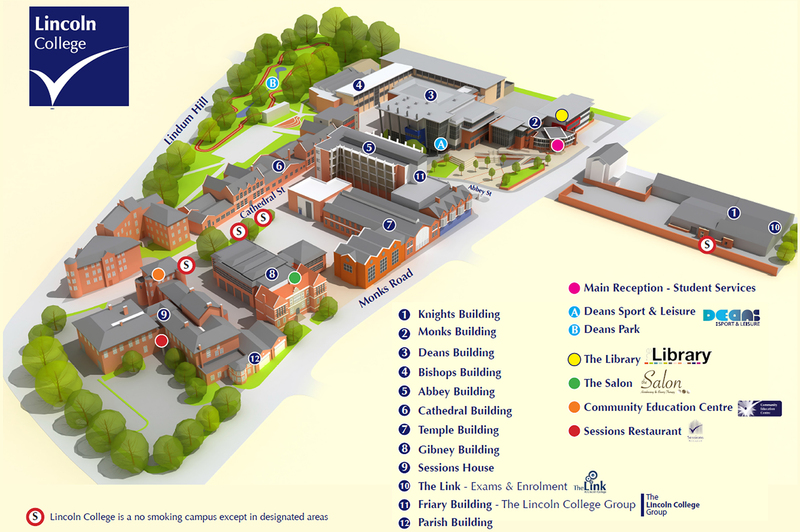 The Lincoln College Group encompasses campuses at Lincoln, Newark and Gainsborough as well as an Air and Defence Career College at Lincoln and Construction Career College at Gainsborough. In addition we deliver HE courses, have an onsite sports centre (Deans Sport and Leisure) and provide education in KSA and China, meaning progression within the Lincoln College Group can take many different routes. Join our journey to extraordinary and expand your career opportunities. Inspiring delivery and exceptional learning for all. Our Learning, Assessment & Teaching strategy recognises that learning, assessment and teaching are not mutually exclusive and the effectiveness of each is dependent on the others. Learning is at the centre of all pedagogical principles and the teacher facilitates learning by providing appropriate opportunities and strategies; assessment is integral to learning as it evaluates the effectiveness of these opportunities and strategies. View our complete Learning, Assessment and Teaching Strategy. Learners enjoy challenging, well-paced and dynamic sessions, where their progress is celebrated and subsequently attendance is high. Teachers, trainers and assessors demand that learners have high aspirations and expectations regarding their achievement, behaviour and personal development. Teachers, trainers and assessors set challenging learning outcomes strategically for the learners that promote deep learning and raise learning aspirations for all. Teachers, trainers and assessors set engaging activities for learners to complete outside of lessons/sessions in order to extend their learning opportunities and to promote the development of the independent learner. Teachers, trainers and assessors involve stakeholders within the planning, monitoring and development of progress within every setting. Learners are able to make clear links to the skills, knowledge, understanding and attributes required by employers or higher academic progression routes and are able to apply these skills in the work place. Learner’s progress is checked using a range of carefully considered assessment methods. Learners engage with their feedback effectively to continually develop and progress their academic knowledge and skills. Teachers, trainers and assessors are confident in selecting and utilising a range of effective learning, assessment and teaching strategies, including relevant digital technologies that support multi-sensory learning. Teachers, trainers and assessors share resources and working effectively within learning, teaching and assessment community of practice. Teachers, trainers and assessors engage enthusiastically in peer observations to support their and others’ continued professional development. Teachers, trainers and assessors confidently embrace ‘teachable moments’ that support the development of core and employability skills as well as an understanding of British values and Equality, Diversity and Inclusion. Teachers, trainers and assessors model high standards of honesty, fairness and integrity, and expect the same of learners. Teachers, trainers and assessors value and stimulate independent critical thinking and creativity and empower learners with confidence. Where the organisation is going? The Lincoln College Group Strategy– Our Journey to Extraordinary addresses those two questions by setting out the direction of travel for the Lincoln College Group (LCG). The strategy is built around three academic years, extending to the end of the 2018/19 academic year. See a full copy of the Lincoln College Group Strategy 2016 – 2019. We provide dedicated professional support which creates positive pupil behaviour and a great learning environment. A robust Learner Disciplinary Process in place which aims to give a clear structure that supports Staff and Learners in upholding high standards of Learner conduct. See further information regarding our Learner Disciplinary Process. The Lincoln College Group recognises that an effective programme of induction will help to ensure that new employees settle in well and gain an understanding of the organisation, its policies and procedures and culture as early as possible giving each new starter a full opportunity to quickly become effective and motivated team members. A structured induction process is therefore in place for all new employees to ensure that they receive a comprehensive induction programme. Find out more about our comprehensive induction programme. 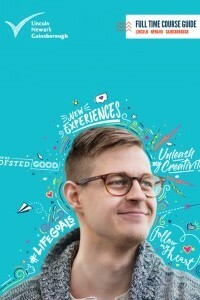 As well as an exciting and rewarding career, employees of The Lincoln College Group have access to a wide range of benefits including Work Life Balance and Health and Lifestyle policies, Computer Purchase Scheme and reduced membership fees at Deans Sport and Leisure. All of our employees have easy access to our benefits via the 'Perkbox' platform. Further information on some of our Employee Benefits on Offer can be found via our Employee Benefits Booklet. Please don't hesitate to contact Jeannette Young (HR Officer) in the HR Unit if you have any further queries regarding our Employee Benefits. Links to further information regarding our recruitment process, such as tips on completing our application form can be found on our main jobs page. All of our current vacancies can be viewed in our Jobs Section. Follow our @LCG_Jobs Twitter account to keep up to date with all of our current vacancies. If we don’t have any suitable permanent vacancies, why not register with our in hours teaching agency FE Resources.